We build a community having transfeminism on mind. We promote and defend the human rights of sexual diversities, and transgender people. We want to empower them. We envision a community based on democracy in which every individual can decide freely what to do with their bodies and their identity without the enforcement of social gender roles. We work based on democracy. We promote the equal participation of every member so that each and every participant can use their leadership within the association. Transparency is part of our financial and organizational processes. It is a fundamental part of our work and of our actions. We always have our annual report available for anyone who might be interested on it. We work based on the physical and psychological integrity of every human being. We promote a healthy coexistence with the public. We build a community based on harmony and inclusion. We promote relationships based on cooperation and feminism -caring for others and themselves-. This is an essential value of the organization. We believe activism and community-building are based on the participation of authentic, fair, and committed people who can achieve the common good. 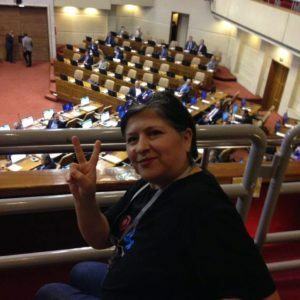 19 members -11 transgender, and 8 cisgenders- founded “Organizando Trans Diversidades” OTD Chile in January of 2015. The association was created as a political project of cultural transformation. The association set specific goals -in benefit of the transgender community- to achieve in the future. The creation of a national association was a tangible effort towards the benefit of the transgender community. Non-binary activist. Kris is a teacher, a graphic artist, and a performer. 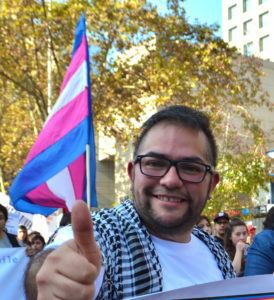 They started as a volunteer in the Comisión Trans of Fundación Iguales in 2014. Creator of “Shamanes a Travestis”. An educational effort to show gender diversity in the world through history. Feminist, and cisgender activist. Norambuena is a Secretary, and an Ontological Coach. She has worked with community organizations since 2005. She is also the mother of a non-binary transgender person. 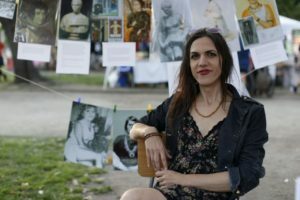 She has experience with group counseling, and family counseling, especially with families who have a member of their family that is transgender.